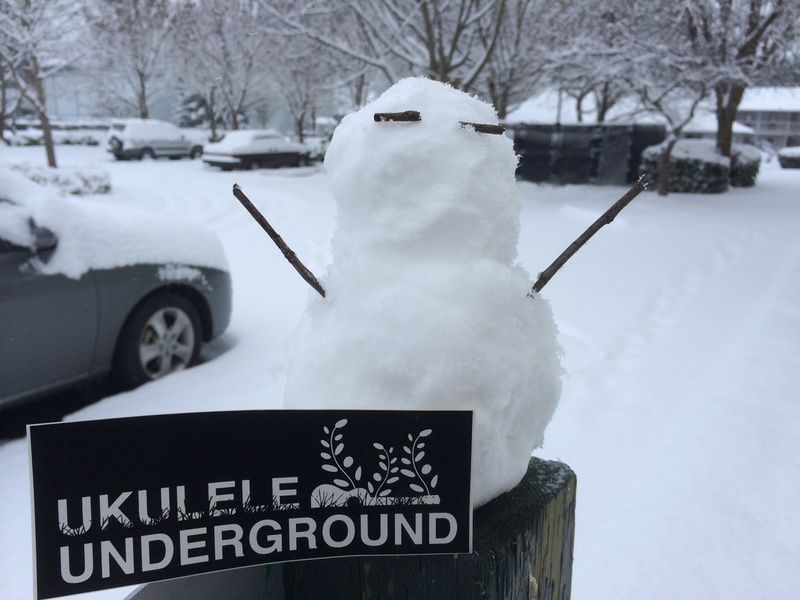 Welcome to the new website + more ukulele adventures! I've been hard at work getting the new website up and running and I hope you enjoy it! My last big blog was about the Cairns, Australia 2013 Ukefest and I'll be writing about some of the other adventure I have had since then. Lots to catch you up on! First off we have the Wine Country Ukulele Festival. This happened to be my first ukulele festival in California (believe it or not!) and I had an absolute blast. It was nice to see some familiar artists like Sarah Maisel, Paul Hemmings, Stu Herreid and Ken Middleton, but it was also my first time doing an event with Jason Arimoto, Dave Egan, Heidi Swedberg, and Daniel Ward. It was a great time to be had, and even though the temperature started to rise, it didn't effect the amazing amounts of workshop attendees who were there to learn! Being a full time ukulele teacher, I -loved- the emphasis on workshops! Thank you to Elaine for brining me down! Next we have the Tunes in the Dunes, put on by Full Heart Productions on the Coast of Oregon. This was such an amazing retreat. This is the very first time that I've been a part of a "retreat" like this... you could see how people changed during this event. For many attendees, they were put in groups for the first time and performed for the first time! From the food, to the location on the coast... just amazing. It felt like family after all was said and done. I was joined by Aaron & Nicole Keim, Jim D'ville, Guido Heistek and the Diggers who all brought such great energy in leading their workshops and performances. Later in the year it was off to Tampa Bay, Florida! I have not seen such energy before... Every single attendee brought so much positive energy with them, that it was impossible not to be swept up in it. I was joined by Sarah Maisel, Jim D'Ville, Julia Nunes, Steve & Amanda Boisen (the Barnkickers), Mike Hind and many other great local artists. It was great to see many east coast friends that I haven't seen in a long time! Can't wait to be back in Florida this March! Hawaii Island Ukulele Retreat... this was quite the event! Just like the Tunes in the Dunes, it was amazing to get to know all of the attendees in the week we spent in Hawaii together. It was filled to the brim with performances, workshops, sightseeing... this will be a great event to keep an eye on. We were treated to great artists such as Bryan Tolentino, Keoki Kahumoku, Kris Fuchigami, Sarah Maisel, Dave Egan, and got to visit Chuck Moore's factory! An incredible trip. Huge thank you to Elaine and Andy Andrews! There are a lot more things in the works! I can't wait to share more with you. But it is incredibly cold right now (it is now Dec 8th and we just had a huge day of snow!) so I will share more soon.